Simply Southern Girl: Bike ride anyone?? Inspiration from my baby brother. Yup, you guessed it the photos photos to the right and below are my brother! Amazing right!!! He is truly an inspiration to me! Without knowing it he inspires me to follow my passions and take risks each and every day. 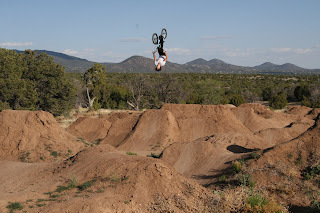 (ok I admit I won't be attempting back flips on my bike anytime soon) But we do share a passion/love for travel, and while we are nearly never in the same place at the same time, we are able to see the world (each others travels) through our photos, conversations and descriptions. 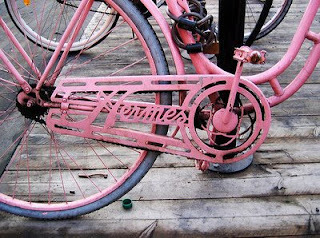 I came across this pink Hermes bike photo a while back and just loved it.. I wonder if my brother would approve?????? I mean the right bike should match your outfit right? ?